Wonderful collection featuring some of Larry's TV Guide covers. Poster has been reproduced with Larry's autograph on it. Measures approximately 11x17 inches, and is printed on card stock. Perfect for framing and keeping with all the rest of your memorabilia! 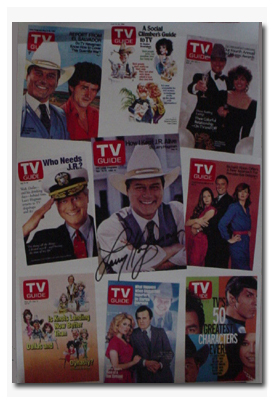 Each TV Guide Collection Poster One reproduced with Larry's autograph sells for $19.95. Order your TV Guide Collection Poster One using the below PayPal button. 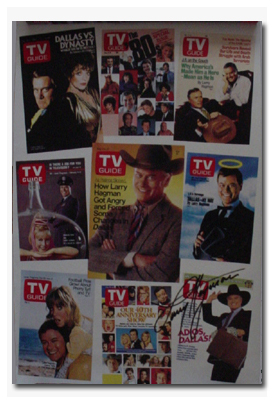 Each TV Guide Collection Poster Two reproduced with Larry's autograph sells for $19.95. Order your TV Guide Collection Poster Two using the below PayPal button.